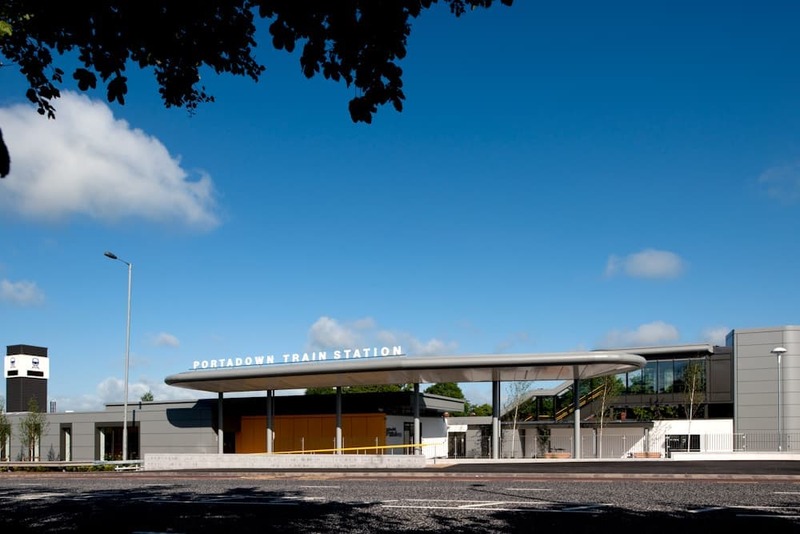 This prestigious contract involved the extensive alteration, refurbishment and upgrading of an existing Railway Station in the heart of Portadown, Co Armagh. 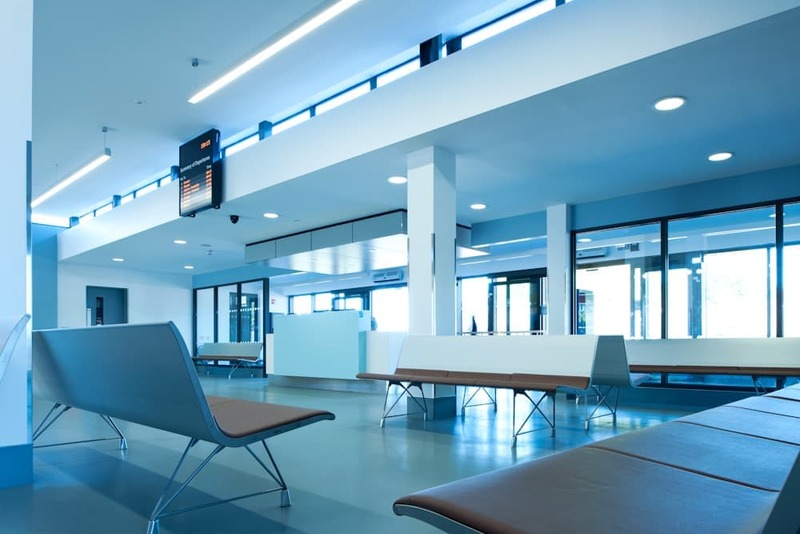 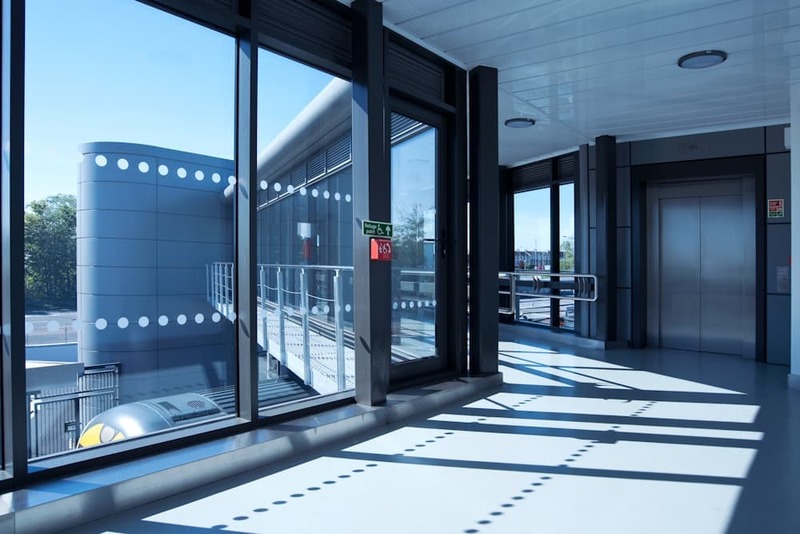 The provision of newly refurbished passenger waiting areas with new seating and public spaces, including vending areas and public convenience facilities. 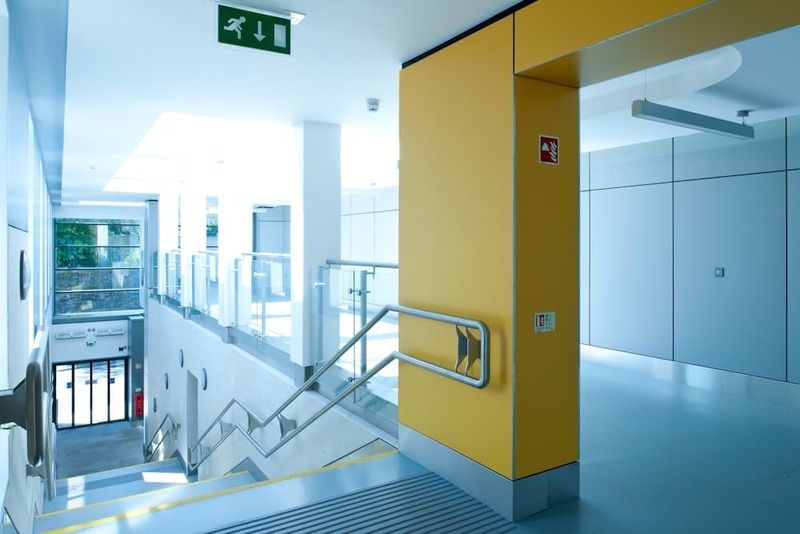 The entrance received a new lobby area with lift provision , gallery walkways and refurbished stairwell for improved passenger access. 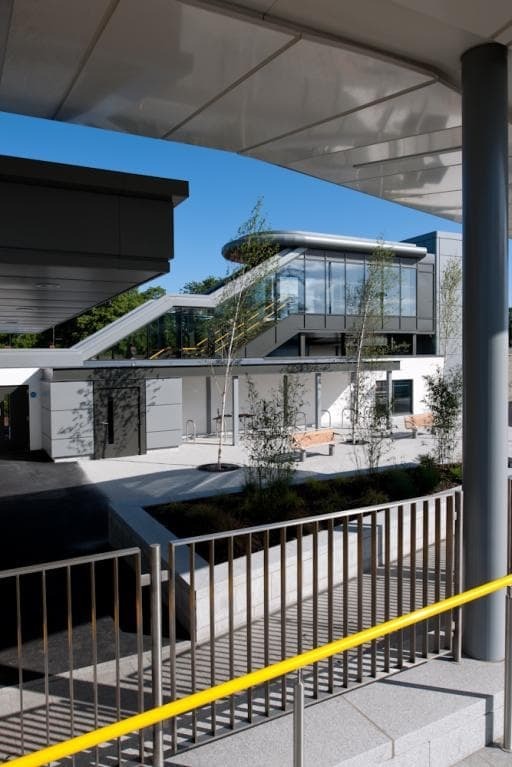 Access to platforms also improved greatly with a new link footbridge built , DDA compliant passenger lifts and new enclosed waiting areas. 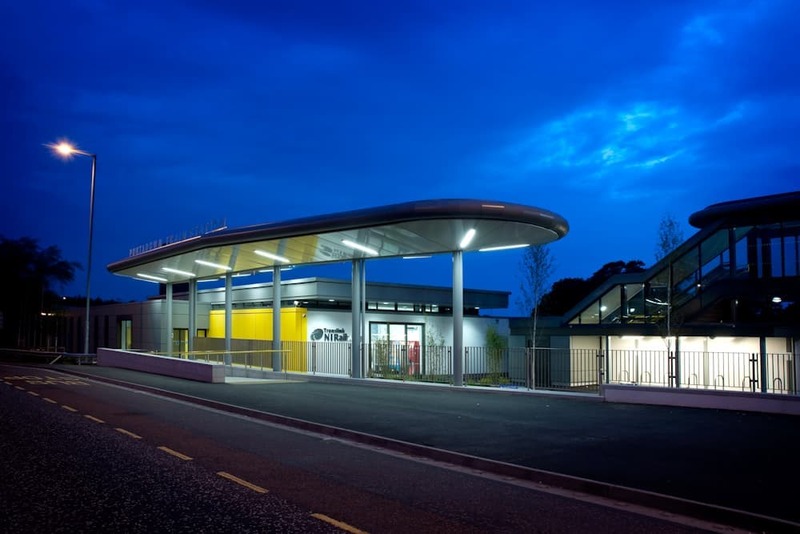 Externally, improvements were made for vehicular traffic circulation with set - down areas, additional parking spaces, turning areas and also cycle shelters. 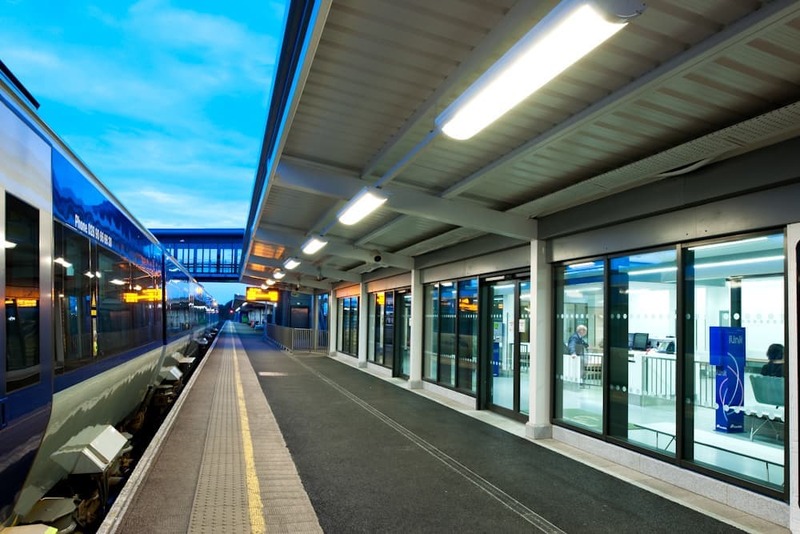 The external façade was completely modernised with a roof replacement, new signalling gantry along with new CCTV installations .